This how-to manual is your guide to creating and operating an amazing business online. Learn about a variety of common and uncommon scenarios related to dropshipping and using sites like Shopify, Instagram, and eBay to your advantage. Even discover how you can combine other online sales strategies like affiliate marketing to optimize your business. Do you want to sell products online? Are you fed up with handing control to big online sites, like Amazon? Do you want to have your own place in the market without sacrificing your profits to others? You can do all of that with Shopify, the online trading site which allows you to keep control and work with a variety of platforms to give you plenty of options. 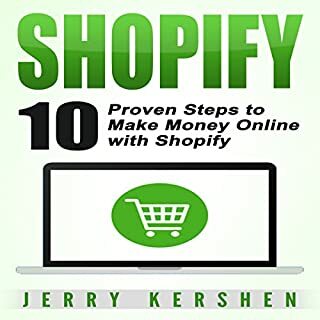 Now, with Shopify: 10 Proven Steps to Make Money Online with Shopify, you can find out all you need to know about this remarkable opportunity and how to get the most. E-commerce is evolving as we speak at a faster rate than ever. This is the time to get active in the e-commerce space and there is no better way to get started then by utilizing the top three e-commerce platforms in the world! With the headstart afforded to you through this practical advice, you will be able to avoid common blunders and excel in ways that are often completely lost on first-time entrepreneurs. Take charge of your life today, become your own boss, and begin the journey that will set you free from the day job. Just getting started with product research and sourcing? Stuck trying to find ideas or find that "perfect" winning product? Want to find good selling products that others are ignoring? Interested in wholesale or private label products? If you answered yes, then this book is for you. This book is written for the new or struggling seller wanting to source wholesale or private label products. Get the information and tools you need to build a successful dropshipping online business. Dropshipping is a great way to earn passive income by selling products online without the hassle of storing stock inventory on your own premises. The advantage is to profit from an item since you’ll be getting it at wholesale cost and selling it at a marked-up price. This convenient and affordable business model makes it easy for anyone to get their online business off the ground. Commerce used to require a huge budget and a ton of hands for new businesses to get started, but those days have long passed. With ecommerce came the ability to avoid the overhead of brick and mortar operations and large staffs, and these days, we don’t even have to buy our products before we begin to sell them. Thanks to dropshipping, entrepreneurs are given the opportunity to work directly with suppliers to have products purchased and shipped to their customers without ever seeing the products in person. This book is one of the best I have listen. Develop your own physical products, tap into Amazon's multi-billion dollar market, and easily replace your nine-to-five income. The FBA Blueprint teaches you everything you need to succeed in importing and private labeling your own products, selling them on Amazon for high profit margins, and ultimately creating a high-value brand that could even be sold for a large sum in the near future! Whether you have previous experience in eCommerce or not, this book will guide you every step of the way. Discover the four most popular online business models with proven strategies to gain financial independence. Start and grow your own business and begin building your Internet empire. If you're like most of us, you dream of a day where you won't have to keep dragging yourself in to your day job plugging away to earn a living. Life passes us by so quickly, and most of us would prefer not to spend all of our good years in the office. With the explosion of Internet businesses, it is now more possible and easier than ever for you to start your own online business. An essential toolkit for anyone looking for passive income or alternate income streams. Master the art of online business and start making more money than you’ve ever made in your life. Dropshipping is a business model which enables an entrepreneur to operate without maintaining inventory or owning a warehouse to store products. 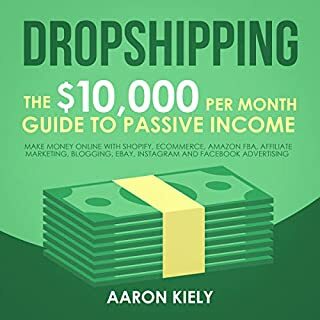 If you are running a dropshipping buѕіnеѕѕ, or you аrе thinking аbоut ѕtаrtіng оnе, this is the book for you. 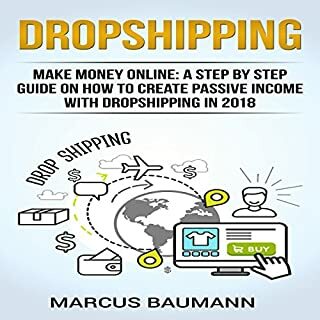 You will find a detailed step-by-step guide to help you succeed in a dropshipping business even if you have no background in e-commerce or any other online business. Do you to make an extra 5k to 10k a month? Do you want complete control of your business? Do you want to grow on your own platform? Do you want to make money online? When you listen to Shopify: How to Create Your Online Empire, your skill set of making money online will improve steadily each day! You will discover everything you need to know about Shopify. This comprehensive guide will teach you how make your own store on Shopify and make money online. This audiobook will teach you everything you need to know about affiliate marketing. It discusses how it all started and evolved into the multi-billion dollar industry that it is today. In this audiobook, we will discuss how you can get your slice of the affiliate marketing pie. You will learn how you can start with this business and build your affiliate marketing assets from scratch. You will also learn how to develop content and drive massive amounts of traffic to them through organic (free) and paid methods. Six Billion Shoppers takes listeners on an exciting and colorful journey around the world to visit the next e-commerce mega markets and explore how a new e-commerce boom is opening opportunities for entrepreneurs and global brands alike. Traveling through Nigeria, China, India, Southeast Asia, and Latin America, Porter Erisman addresses e-commerce across these new markets and what it means for Western brands. A must read for anybody involved in ecommerce. For those running e-commerce websites, there are three ways to increase sales: increasing the quantity of visitors; increasing the percentage of visitors who buy from the site; and increasing the amount that visitors spend when they buy. E-commerce Website Optimization goes beyond simply increasing traffic, helping listeners to improve conversion rates, increase ROI from online marketing campaigns, and generate higher levels of repeat business. 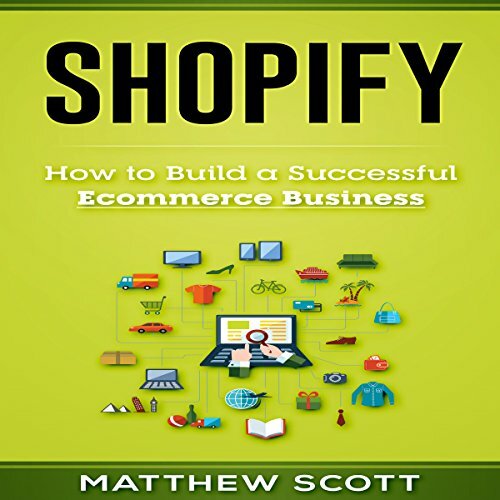 Shopify: How to Build a Successful Ecommerce Business outlines the many aspects of putting together an online store and leveraging many services to help improve the amount of sales and profit you. Given the tools and information to build a new business may not be enough to make you successful on its own, but it gives you an advantage over starting the process completely blindly. With some hard work and dedication, financial freedom and leaving the grind of a "regular job" is becoming more and more possible thanks to Shopify and other services. With the rise of online shopping, the high-level of investment and competition involved in brick-and-mortar store is becoming a worry of the past for small business entrepreneurs. The entire world is your market, and there's room for you to earn a great living providing customers with excellent products. I am so much interested to read this book. After complete reading this book I am so much thankful to the author for his great creation. Also i learned all about the specifics of the shopify platform and what makes it the best choice when it comes to starting my online store. This book was very concise and to the point. I would recommend this book especially to Shopify store owners who want to improve so. Excellent book with a great guide. An ideal book for both beginners and experienced. it is well described the importance of shopify and each step, as well as what will be if treated lightly. Very easy read. If you are wanting to learn more about this subject, I would highly recommend. Highly recommend. Simple, easy to read the explanation of the Shopify. Love that it came with great ideas to try! Can't wait to go shopping! Great content to get you started. Definitely one of those books you would highlight in and go back to often. I'll certainly purchase the paperback version too. 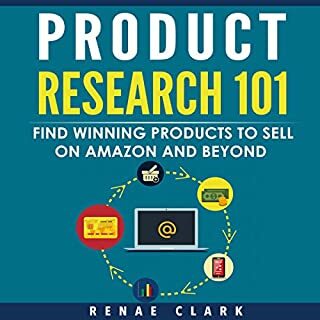 In this book you learn everything that goes into a frontal end sales funnel, back end sales funnel, marketing, re-targeting, the no nos of advertising, market research, product research, price research, suppliers, building ideas for niches/products. There is an ultimate guide book which is written particularly to demonstrate the term shopify for your convenience. The author has elaborated in this book the basics of shopify and each of this book chapter is well defined and easy to comprehend. This guide book illustrate shopify and introduced the best way for making money. This book tells us what Shopify really is. In this book, I learn a lot. 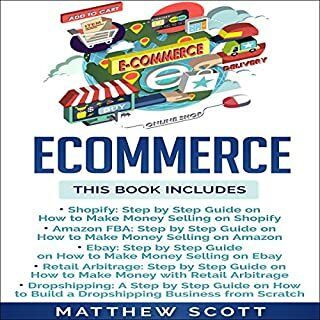 This is my first audible book on building an e-commerce business. I still have other books to read on the subject. Once I have listened to other books I’ll have other books I can use Shopify to benchmark against and will be able to make a more educated review. Overall it’s pretty good and points me in directions to research. This book shows me how to profit offering shopify and end up plainly effective with it. This book is a decent presentation for anyone searching for data to begin with E business. It book is unquestionably justified regardless of my opportunity perusing and considering. It's literally a step by step guide to start and grow a physical products business online so you can get right to implementing everything you learn into your own business right away. Wow! This book rocks!! This book takes administration hones created in the Asia producing portion in view of the logical strategy and deciphers them.This book was fabulous. It got me into truly concentrating on what a book.Recommended for anyone needing to begin something new. This simple and easy to read guide book is written about starting a business which has been deliberately designed including 15 rules of successful business. This book is composed in a very easy method to that even a common man can easily comprehend and implement too. after reading this book you would be able to run your business successfully. 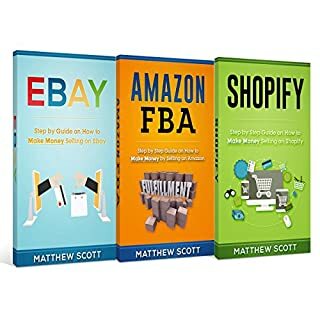 This is the ideal book for any one interested in starting an online Shopify business selling on Amazon.a wide range of topics covered from computer literacy and start up capital required up to the technical skills needed to set up your business. Everything is well explained. Definitely recommended. The writer provided useful information for those interested in venturing in online business and ecommerce Great content to get you started selling using Shopify. Thank you for the knowledge! Highly recommended if you are just starting out! I just started working on my first ecommerce business. This book has the basic information that I need. I liked the niche ideas and the legal aspects.